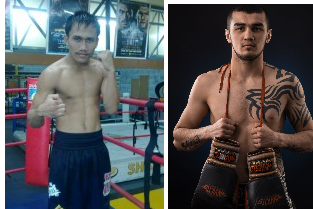 Filipino boxer Rogelio Jun Doliguez is set to face the undefeated Shavkat Rakhimov of Tajikistan on February 18, 2017, for the vacant WBC Eurasia Pacific Boxing Council super featherweight title at Traktor Sports Palace, Chelyabinsk, Russia. Doliguez is a 25 years old boxer from Malungon, Sarangani, Philippines. He is a hard-hitting boxer handling a professional record consisting of 21W(15KO)-3L-3D. He started his career in 2010 and won his first 20 fights and only loses to his tough opponents including, Fernando Montiel, Gabriel Francisco Pina of Mexico and Dennis Tubieron of the Philippines. Doliguez won his last fight against Elvis Bicoy via 3rd round KO. On the other hand, Shavkat Rakhimov is a 22 years old prospect from Tajikistan. He has a record consisting of 8 wins including 6 victories by way of KO. Currently ranked no. 1 Tajikistan boxer in the super featherweight division. He defeated two Filipino boxers including Jerry Castroverde via TKO and Roldan Aldea in his last fight via KO last year.